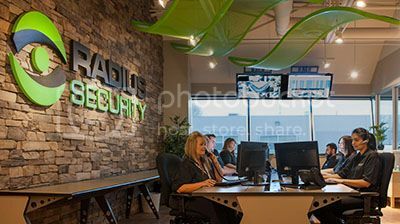 At Radius Security, we are one of the few security companies that owns and operates a central monitoring station in the Greater Vancouver area. Most security companies depend upon a third-party remote alarm monitoring station to receive signals and respond to emergencies. Our central monitoring station provides the additional level of service our clients need and deserve. Did you know your state-of-the-art security system has no value if it's not connected to a central monitoring station? Why? Because the safety and security of your home or business is dependent upon the central monitoring station receiving the signal your security system sends when it detects an intrusion or fire. How? Your security system sends its signal over your telephone line to our central monitoring station and an operator immediately informs the police, fire department or ambulance. Our central station, which is open 24 hours a day, 7 days a week, is staffed by operators who are trained to respond to emergencies, alert the proper authorities and dispatch help using state-of-the-art equipment. When? The central monitoring station receives a signal when your security system is triggered at your home or business - whether it's a fire, an intrusion or a personal emergency. The operators identify the problem and then follow your pre-determined instructions on how to respond to the emergency. Our central station follows all the stringent requirements in order to be certified by Underwriter's Laboratories of Canada in compliance with the most demanding industry standards. An operator at our central monitoring station contacts you to verify the signal.For even faster response times, consider our guard runner service. We dispatch a security guard to your premise and notify emergency responders. When you respond and confirm the emergency or when we are unable to receive a response, we notify the appropriate emergency personnel to visit your home or business immediately. 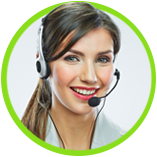 **For even faster response times, consider our guard runner service. 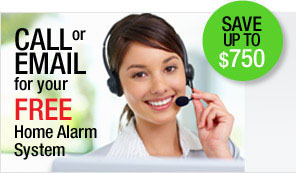 When your alarm is triggered, we dispatch a security guard to your premise and notify emergency responders. 24/7 Radius Security's Central Station is open to protect what matters.